On Wednesday afternoon parents of year 1 pupils were invited to come along and learn and play with their children. We had over 40 parents attending. They really enjoyed interacting with their children and joining in with their learning activities both indoors and out. There were opportunities to get creative, get involved in role play areas and some skipping out on the playground. 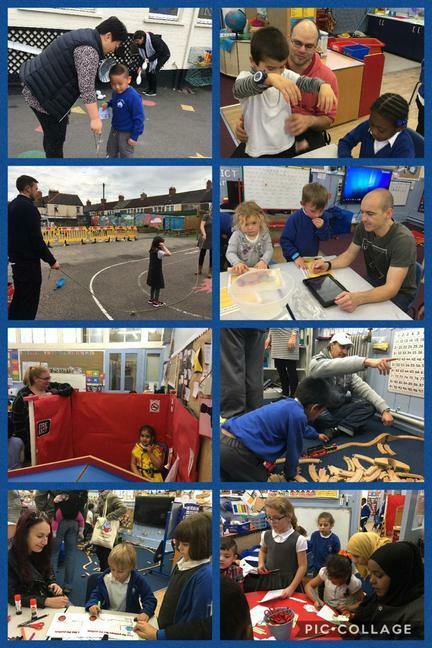 The children really enjoyed having this valuable fun learning time with their parents.